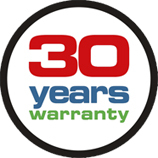 We offer a paint assessment for a 30 year paint warranty on all paint work carried out by A B Crush Panelcraft, we use manufacturer approved paints to ensure your car is returned to its original, as good as new, condition. Whether it's restoring a faded, damaged paint finish or repairing and refinishing collision damage. We also provide a range of custom paint services, so whether you want your car to stand out from the crowd with a two tone finish or want your alloy wheels to match your bodywork we can offer competitive quotes for your own personal preference.